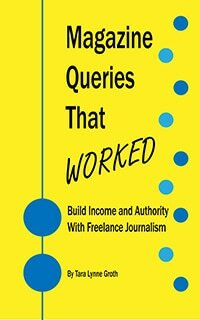 How Did You Get Started as a Content Writer? I found your website in a general search I was doing for freelance writers in the Asheville area. I’ve been freelance writing and designing simple websites for awhile, but haven’t really gotten my feet off the ground. I am fairly new to content writing and honestly feel stuck as to how to get better, long-term gigs. I have a background in SEO and feel my niche would be writing product descriptions, blogs and other web content. I was wondering if you could offer some suggestions as to how I can establish myself as a content writer or even meet with me sometime. How did you get started? Nice to *meet* a fellow writer. Thanks for contacting me. Getting started as a content writer could fall into many paths. You mentioned you have a background in SEO–were you providing optimization services for an employer or multiple sites? The reason I ask is if you had connections already, those are a good place to start for referrals. It might seem like the most vanilla advice, but I have not had to advertise for my work and many clients (short-term and long-term) connect with me through mutual connections. Also playing on your SEO experience, are you optimizing your site for the types of clients who would be seeking you out? The other half of my business is acquired through cold inquiries individuals and businesses make after finding my site. Since you want to write product descriptions, blogs, and other content – I recommend building out your website with more about these items and why you are a good choice for a site owner. I took a look over your site and like the layout and color scheme! Is there a certain business niche you want to target first–maybe one you feel comfortable with? I worked in real estate for my post-college professional life until I resigned to write full-time so I often stress that part of my background to reach clients in the real estate, financial, and investment fields. If there is an industry you want to ‘break into’ – I generally suggest doing a single pro bono project to help establish a testimonial and sample for future paid work. I have a post about finding quality pro bono work here. Got my first paid article accepted with a local publication. Got a (small) consistent long-term client who I ended up working with for 4 years. I wrote press releases and case studies. Completed two pro bono projects only in an effort to create samples. One was a brochure for a local politician, and the other was writing a brochure for a non-profit in Texas. These two samples helped establish my credibility locally and with out-of-state clients. After that I burned the midnight oil making and meeting all of my freelance goals outside of my salaried job. I promised myself that if I met all the goals within a year that I would resign. I did. Here’s a little bit more about where my freelance clients came from and my resignation. I focused mainly on journalism for the first few years. Unintentionally, I started getting more requests for content writing – since it pays better and faster I don’t expend as much energy on pitching/article writing like I used to. Generally, I am in Asheville quarterly for writing events I organize. However, I’m taking a break from my normal event schedule this year while I finish editing my short story collection. I do not have any trips planned to Asheville for the rest of the year. I intend to be in Asheville more frequently in 2016, so if our schedules don’t sync up in the coming months hopefully we can meet for coffee at another point down the road. I live not far from Chapel Hill in the Triangle-area, so if you are out this way we could connect then!